Stephen is arrested for speaking out against the temple and the Law of Moses. 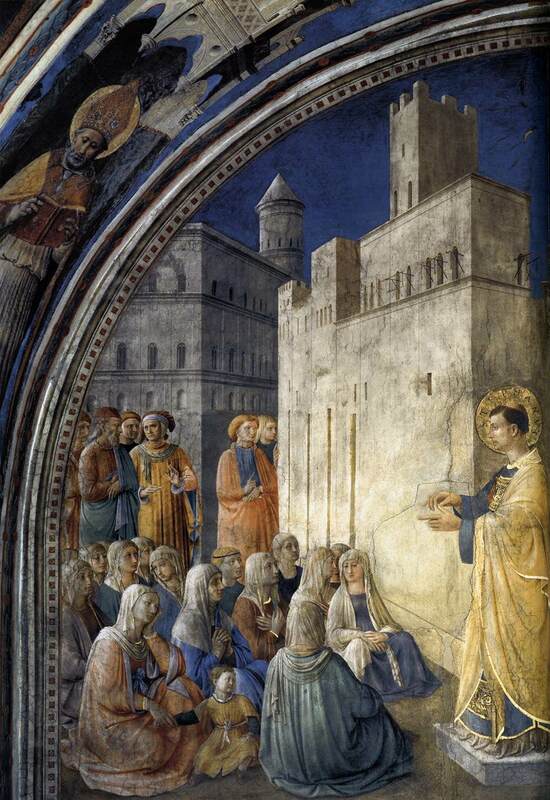 While Luke is clear that these are false charges, it is possible that Stephen has preached something which could have been taken as “against the temple and the Law.” There is no indication in Acts that the anyone “spoke out against the Law” among the apostolic community, they continued to worship in the Temple and most likely keep all of the Works of the Law which were expected of them as Jews. Sometimes scholars have speculated that Stephen, as a Hellenistic Jew, was already starting to give up elements of the Law, as if he were a forerunner of Paul’s theology in Galatians. There is nothing here that would give that impression, except the false witnesses. To speak out against the Temple was not an offense worthy of death. There were in fact many critics of the Temple in the first century, including the Qumran community which separated itself entirely from Temple worship on the grounds that the Temple used the wrong calendar and was therefore celebrating Passover on the wrong day! If Stephen did speak out against the Temple, he is no different than Jeremiah, who condemned the Temple, the priesthood, and the worshipers of not doing true worship (Jer 7, for example), and Jesus himself who called the Temple a “den of thieves”! In addition, there are a number of Second Temple period books which also condemn the priesthood as corrupt. If the audience could agree with most of Stephen’s sermon, it is his conclusion that angers them so greatly. This generation is just as stiff-necked, therefore they are under the same judgment! (7:51-53) The conclusion to this sermon draws on themes found throughout the Hebrew Bible. Resistance to the apostolic message represents resisting the Holy Spirit. The people are called stiff-necked. The word appears only here in the New Testament and it appears 8 times in the LXX, usually in the context of covenant unfaithfulness (Ex 33:3, 34:9 and Deut 9:6). To be “stiff-necked” means to be stubborn, obstinate, or rigid” (HALOT). They are also described as having “uncircumcised hearts.” This phrase is also associated with covenant unfaithfulness, see Jer 9:25, Lev 26:41, Jer 6:10, Ezek 44:7, 9. Stephen says that this generation has always resisted the Holy Spirit. “Resistance” is a rare word in both the New Testament and the LXX, appearing only here and Num 27:14, where it describes the rebellion of the people in the Wilderness of Zin. Stephen accuses the present generation of the same hard-headed resistance to the word of God which was demonstrated by the worst of Israel’s kings. Those who persecuted the prophets would include Ahab and Jezebel in the northern kingdom, Manasseh in the south (who was reputed to have killed Isaiah and any other true prophet who challenged him), but also the temple authorities who persecuted Jeremiah. Jeremiah spoke against the Temple and was nearly killed, Jesus also challenged the Temple and was killed. The most stinging part of this critique is that these prophets predicted the coming of the messiah and were silenced by the appointed authorities of the nation. Most likely the Sanhedrin would have agreed with Stephen on this point, the prior generations were corrupt – but not so the current administration. This generation has done the same to the Righteous One himself! What other elements of Stephen’s speech resonate with the prophets of the Hebrew Bible? Obviously he alludes to the Hebrew Bible extensively in the speech, but us he intentionally connecting his audience with the “wilderness generation”? If so, what was the point of this allusion? Acts 6-8 – A New Tradition? In his Beginning at Jerusalem, James Dunn collects a number of elements which make up a “Hellenist Tradition” in Acts 6-8 (243-4). Dunn’s point is to show that Luke had a cohesive source for this section Acts since the material found here is markedly different than Acts 1-5. I agree with his evidence and think that Luke had a source for this section on Hellenistic ministry. In the following I summarize a few of Dunn’s points with some expansions. As I observed in a previous post, language is an obvious difference. Diaspora Jews in Jerusalem for a pilgrimage may have gathered in the Synagogue rather than the Temple to read and study Scripture in Greek. There is dissension in the church. Luke has repeatedly highlighted the unity and “one-mindedness” of the early community in Jerusalem, but now there is a serious rift between the two groups. 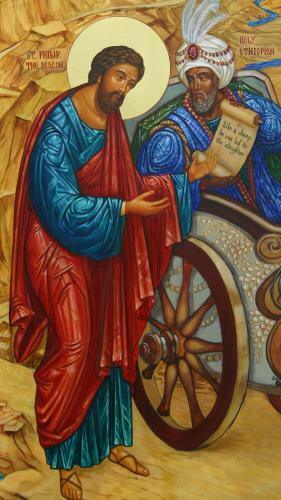 The Deacons are elected to their role by the Apostles. There is no indication of divine appointment, as was the case when Judas was replaced in chapter 1. The Deacons appear to be active in the Synagogue (6:9) rather than the Temple. The Apostolic mission was based in the Temple courts. Stephen is attacked by other Hellenists in the synagogue, not the Temple authorities. Specifically, Stephen is accused of repeating Jesus’ threat to destroy the Temple. More than that, Stephen is “changing the customs Moses delivered.” The Apostles are not accused of anything like this, rather they appear to be conforming to the Traditions since they continue to worship in the Temple. There is a clear negative Temple-motif in Stephen’s speech (7:46-50 especially). This negative view of the Temple is not found in Peter’s sermons or the ministry of the Apostles. God protected Peter and John when they were arrested, not so Stephen. He is lynched by an angry mob for his sermon in Acts 7. In contrast to the large number of converts after Peter’s sermons, Stephen has no converts and creates such tensions that even greater opposition develops. I would add to this list that the ministry of Philip is Samaria is considerably different than the Apostolic mission. Peter and John are no longer preachers in the Temple, but elders who guard the Gospel against corruption. The Spirit moves beyond Jerusalem and a non-Apostle works miracles in Samaria. What should we make of this evidence? While this anticipates my next post, I think that what we have here in Acts 6-8 is another strand of the early Jesus movement. The crowds which hear Peter preach in Acts 2 and 3 included both Hellenists and Hebraists, to use the language of Acts 6:1. While Luke is at pains to highlight the unity of the community in Acts 1-5, he does not hide the fact that there was some factionalism along cultural lines from the very beginning. I do not think this a bad thing, the Gospel is going to be far more than a Jewish messianic sect. Luke has already told us the Gospel would go out to the whole world, beginning with Jerusalem and the diversity of Jewish belief and practice. Is there more in Acts 6-8 that helps to support Dunn’s suggestion that this material is a drawn from a “cohesive source” that describes Hellenistic, Jewish ministry?